To recognize outstanding service to the organic chemistry community. The award consists of $1,500 and a cut crystal plaque. The award will be presented no more than biennially at the Fall executive committee dinner in even-numbered years. Travel expenses to attend the national meeting will also be provided. The award was established in 1994 with financial help from the Bayer Corporation’s Pharmaceutical Division, located in West Haven, CT, and Bayer’s Polymer and Materials Divisions, located in Pittsburgh, PA. 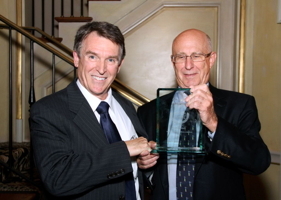 In 2007, The award was endowed by the Midwest Pharmaceutical Process Chemistry Consortium with a supporting contribution from the Division of Organic Chemistry. The winner of this award and of the Leete Award are the only two awards actually selected by the Organic Division. Nominees must be long-standing members of the Organic Division of the American Chemical Society who through their contributions to the organic chemical community in the United States have significantly enhanced the welfare of its members. Contributions to the American Chemical Society and/or the Organic Chemistry Division, including significant accomplishments in the management and function of the ACS that impact the environment of organic chemistry, leadership and innovation in the Division, and conspicuous service on behalf of organic chemists are appropriate considerations. Nominations should emphasize the candidate’s service contributions. The nomination letter (2 pages max, with minimum font size 11pt), seconding letters (up to five, 1 page each, with minimum font size 11pt), and the candidate’s C.V. should be submitted as a single PDF file via the online form (please name the PDF file with the candidate’s name (for example: JohnSmith-GassmanNomination.pdf). Deadline: The due date for the 2018 award nominations is April 1, 2018. Paul Gassman was born June 22, 1935 in Alden, New York, son of Joseph Martin Jasmine and Florence Marie Rautenstrauch Gassman, of German Swiss parentage. In 1957, he graduated with a B.S. degree from Canisius College in Buffalo, New York. He received his Ph.D. in 1960 from Cornell University, where he worked with Prof. Jerrold Meinwald, and continued as a postdoctoral fellow during 1960 before beginning an appointment as an Assistant Professor of Chemistry at Ohio State University, moving to theUniversity of Minnesota as a Professor in 1974. He served the ACS Division of Organic Chemistry as a member of the Executive Committee (1976-88), Chairman-elect (1980), Chairman (1981), and Councilor (1983-1988). He also served as the ACS President for 1990. Cynthia A. Maryanoff received her B.S. degree in chemistry from Drexel University and her Ph.D. degree from Princeton University. After conducting postdoctoral work at Princeton, she joined the Medicinal Chemistry Department at Smith, Kline & French in Philadelphia. In 1981, she moved to Johnson & Johnson (J&J), and advanced to the highest scientific position in the company, Distinguished Research Fellow, retiring in 2013 after 32 years of service. At J&J her work involved rapidly moving new molecular entities (NMEs) from small-scale to large-scale chemical synthesis, the development of formulations and analytical methods, thereby advancing NMEs to first-in-human and proof-of-principle studies in record time relative to industry standards. She is now affiliated with the Baruch S. Blumberg Institute as Foundation Distinguished Professor and the Pennsylvania Drug Discovery Institute as Professor of Drug Delivery. Cyndie is very active in the scientific community both locally and nationally, especially within the ACS Division of Organic Chemistry where she currently serves on the Executive Committee (1988-present). As a member of the Organic Division’s executive committee she served as a Councilor or Alternate Councilor for many years, organized and chaired over 30 award symposia, and served as the first female Chair. For the past 30 years, Cyndie chaired the Division’s Award Committee, where she initiated and obtained funding to support the Travel Award program to help outstanding students and faculty at undergraduate institutions attend ACS National Meetings and National Organic Symposia. This program has supported more than a thousand students and faculty over the last 30 years. Cyndie also created the Organic Division’s Technical Achievement Award (TAOC), an annual award symposium that recognizes outstanding contributions to organic chemistry by industrial or government chemists at the non-Ph.D. level. The Travel Award and TAOC Award programs have earned ACS ChemLuminary Awards for the Division. Additionally, Cyndie currently serves the ACS on the ACS Governing Board of Publishing and the International Affairs Committee. Cyndie is an inaugural ACS Fellow and a Fellow of the American Association for the Advancement of Science. She has received numerous national, local, and internal corporate awards that encompass both scientific and managerial achievements, most notably: The Perkin Medal (2015); The ACS Earle B. Barnes Award for Leadership in Chemical Research Management; The ACS Garvan–Olin Medal; the ACS Henry F. Whalen, Jr. Award for Business Development. Cyndie has served for many years as a member of the Drexel University Advisory Council for the College of Arts and Sciences. Professor Molander received his B.S. degree in chemistry from Iowa State University and his Ph.D. from Purdue University. After a postdoctoral stint at the University of Wisconsin, Madison, he began his independent career as an assistant professor at the University of Colorado, Boulder, rising through the ranks to professor before moving to the University of Pennsylvania. Professor Molander has a long history of service to the organic community in elected and appointed positions, both at the local and national levels. He has served the Organic Division for over 15 years as member of the Executive Committee, including as Executive Officer of the 37th National Organic Symposium, Secretary-Treasurer, and Chair of the Division. One of the most important initiatives he established, in collaboration with Andrew Evans, is the Division’s Graduate Research Symposium. This symposium was started in order to reach young DOC members and is now in its 6th year. It is considered one of the Division’s most innovative programs, and was recognized by the ACS with a ChemLuminary Award. Locally, he served as Chair of the Philadelphia Section of the ACS and the Philadelphia Organic Chemists Club. 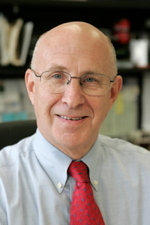 He has been on many editorial advisory boards and is currently serving as an Associate Editor of Organic Letters, co-Editor-in-Chief of Comprehensive Organic Synthesis II, and the Editorial Advisory Board of Science of Synthesis. Professor Molander’s research interests are in the development of new synthetic methods for organic synthesis, particularly in the invention of transition metal-catalyzed protocols for the construction of carbon-carbon bonds. 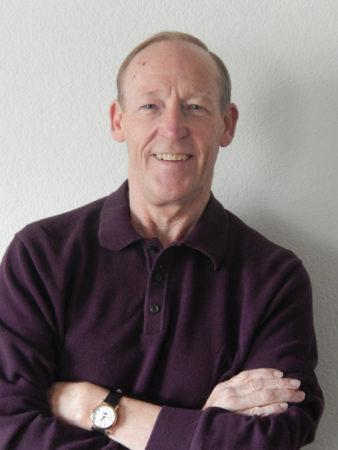 Professor Molander is a Fellow of the American Chemical Society and has received numerous honors for his research and teaching, including an Arthur C. Cope Scholar Award, a Japanese Society for the Promotion of Science Fellowship, the Philadelphia Section Award, and The American Chemical Society Herbert C. Brown Award for Creative Research in Synthetic Methods. Professor Smith received his early education at Bucknell University, where in 1966 he earned Bucknell University’s first combined four-year B.S.-M.S. degree in Chemistry. After a year in medical school (University of Pennsylvania), he earned his Ph.D. degree (University of Pennsylvania, 1972) and completed a year as a Research Associate at Rockefeller University. In 1973, he joined the Department of Chemistry at the University of Pennsylvania; currently, he is the Rhodes-Thompson Professor of Chemistry. He is a Member of the Monell Chemical Senses Center, and from 1976-2000, he was a Member of the Laboratory for Research on the Structure of Matter (LRSM). In 2001, he was appointed as an Honorary Member at the Kitasato Institute, where he has served as Visiting Director. In a timeframe spanning over 30 years, Amos has served the organic community through his active participation in the ACS Division of Organic Chemistry and various editorial advisory boards and study sections and beginning in 2012, the ACS governing board for publishing. For the DOC he began volunteering in the 1980’s, assuming different roles on the Executive Committee such as chairing the National Organic Symposium at Montana State University in 1993, and chairing the Executive Committee in 1996. Shortly thereafter, Professor Smith assumed the role of Founding Editor-in-Chief for Organic Letters, a new ACS journal for chemical communications in organic chemistry. Under Professor Smith’s guidance Organic Letters has experienced extraordinary worldwide success and rapidly became a premiere journal for publications in the field. Smith’s research interests encompass three diverse areas: natural product synthesis, bioorganic chemistry and materials science. To date more than 85 architecturally complex natural products have been prepared in his Laboratory. In addition, Smith, in collaboration with Ralph Hirschmann, has achieved the design and synthesis of non-peptide peptidomimetics of neuropeptideic hormone/transmitters and protease enzyme inhibitors and, also with Stephen Benkovic (Penn State), haptens for the production of catalytic antibodies capable of peptide bond formation. At Monell, in collaboration with Peter Jurs (Penn State), he pioneered the use of computerized pattern recognition techniques for the analysis of primate chemical communication. Collaborative programs at the LRSM include the chemistry and physics of novel liquid crystals and the fullerenes. More recent studies with the late Professor Robin Hochstrasser involve the development of ultrafast photochemical triggers to explore peptide/protein folding. Professor Davis received his B.S. degree from the University of Wisconsin in 1962 having completed undergraduate research studies with Peter S. Wharton and completed his Ph.D. work with Donald C. Dittmer at Syracuse University in 1966. After completing Post-doctoral studies at the University of Texas with Michael J.S. Dewar he began his academic career at Drexel University in 1968. In 1995 he moved to Temple University as Professor of Chemistry and became the Laura H. Carnell Professor of Chemistry in 2009. 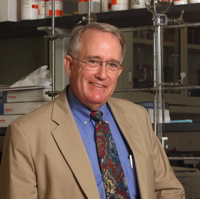 Professor Davis has been advancing the interests of the members of the Division of Organic Chemistry as a member of the Executive Committee for over twenty four years. 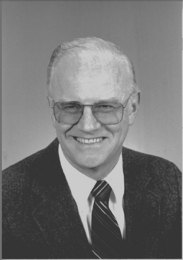 Frank served as the first National Program Chair and was instrumental in the development of the first scheduling software for ACS meetings. In 2005 he pioneered and developed the function of Regional Meeting Liaison to encourage organic programming at regional meetings, a position he still holds today. He has also served as Division Chair, Counselor, and on various committees, advisory boards, study sections and editorial boards. Professor Davis is well known for his work in the design and application of sulfinimines (N-sulfinyl imines) to the asymmetric synthesis of amines. Two of these reagents bear his name, the Davis oxaziridine and the Davis sulfinimine. He is a Fellow of the American Chemical Society and the Royal Society of Chemistry. He has received numerous awards including the Cope Scholar Award, the Philadelphia John Scott Award, and a fellowship from the Japan Society for the Promotion of Science.